Nigerian singer, Kiss Daniel was caught distributing all the love reserved for his girlfriend to his female fans. The Vado star was seen on camera having a good time with some of his female fans in Canada and dancing with others, sharing loving kisses during his tour in Canada. 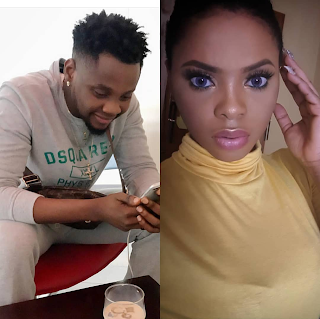 Chidinma who was recently rumoured to be dating Kiss Daniel, cleared the air over her relationship with the Woju Crooner in her last interview. According to her, “She is not ready to open up about her relationship with him now.” Chidinma who hails from Imo State but grew up in Ketu, Lagos, stated that people will get to know later about any relationship going on between her and the pop singer. The pretty singer was again invited to the closed door interview where she was asked a number of questions about her love life and career.